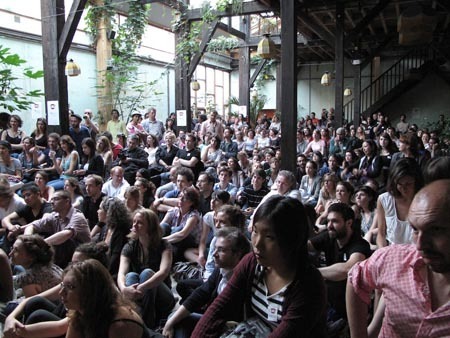 The SLIDELUCK POTSHOW PARIS event will be taking place on 23 June, 2010 in an enchanting venue, Le Comptoir Géneral on the banks of Canal Saint Martin, as part of the 2010 global tour, launching in in May during New York Photo Festival. For over ten years, Slideluck Potshow has been bringing his photo party event to cities all over the world. With 100 shows in over 40 cities around the world, SLPS has grown exponentially and has taken place in cities including New York, Berlin, Oslo, São Paolo, Milan, Los Angeles, Barcelona, Chicago, Mexico City, Nairobi, Copenhagen, Toronto, Seville, Rome, Bogotá, San Francisco, Madrid, Minneapolis, Stockholm, Rio de Janeiro, London Panama City, New Orleans, London and now, Paris. 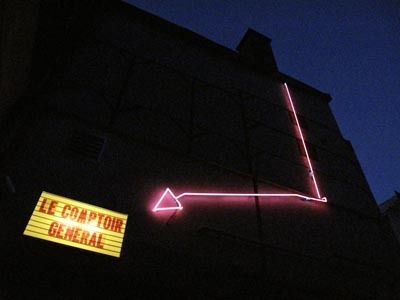 Slideluck Potshow Paris n°1 from Photographie on Vimeo. This entry was posted in Contemporary Photography, food for your eyes and tagged Aglae, Bardou, Beckly, Canal Saint Martin, Carolle, Christopher Anderson, Contemporary Photography, David Burnett, Global Tour, Hocine, juliana Beasley, Larré, Le Comptoir Géneral, Malala, Natalie Ayala, New York Photo, Personal Narrative, Photo Festival, Photo Party, Photographer, Photographers, Photographs, Photography., SãO Paolo, Slideluck Potshow, Slideluck Potshow Paris, slideshow foodforyoureyes, Slps, Social Documentary on June 18, 2010 by food for your eyes.